Ground Balance for preventing false signals which caused by mineralized soil; good discrimination ability for differentiating ferrous from the non-ferrous metals, and distinguishing between types of non-ferrous metals; intelligent operating system for easy operation and so on. 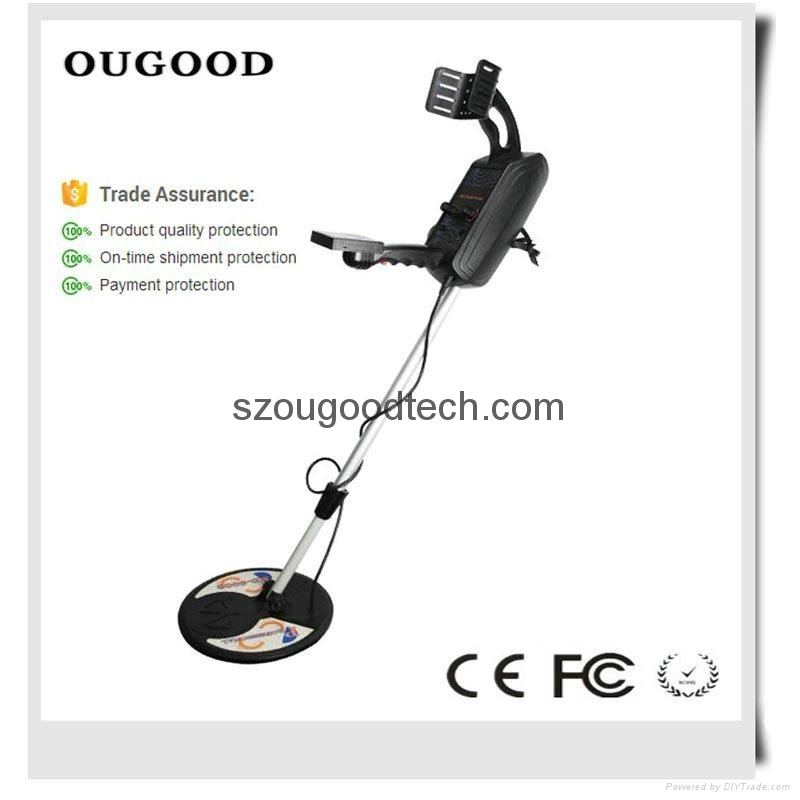 The metal detector is mainly used to detect and discriminate metal goods which are underground. It is widely used in such fields as safe-exam; ancient relic’s investigation, mine detection, industrial product exam and relics seek . ● Easy to operate and simple to adjust. ● Can distinguish Ferrous and non-Ferrous. ● Can identify metal sound by earphone. ● Humane design, light and durable. 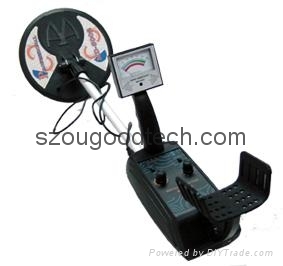 ● Detecting modes: Ground Balance / Discrimination. 1. Gold or silver treasure hunting. 3. Detecting pipelines and wires iron, scrap metal recycling. Etc. 4. Customs inspection, safety inspection, public security department inspection. 5. Detecting materials, fuel, metals in foods.